Catch the Chennai leg of the Taj Group and Rolling Stone Indiaa��s collaborative musical initiative, Revolutions, at the The Gateway Hotel IT Expressway today, in a concert paying tribute to the legendary British rock band, Dire Straits. a�?Preparations are on and wea��re real excited,a�? 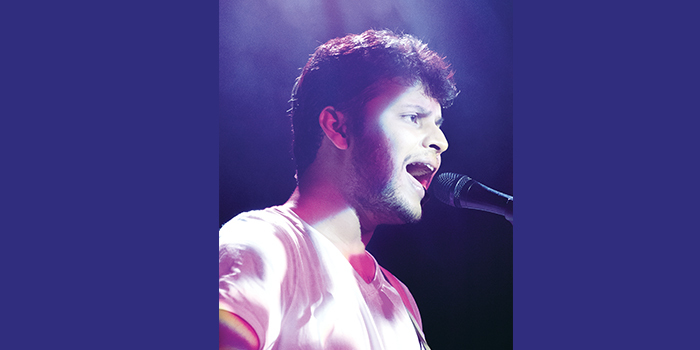 says Prathamesh Tambe, the Mumbai-based singer-song writer who will be headlining in the city. a�?Ia��ve been a Dire Straits fan since I was in the 10th grade. I couldna��t watch them live, but I used to catch them on TV. And they are definitely a reason why I do what I do,a�? adds Tambe, who has played alongside greats like fusion-guitar legend Ravi Iyer. Accompanying him will be Trosdy Fernandez on bass, Crehyl Pereira on keyboard and Debjyoti Saha on drums, along with guitarist Daniel Rego. a�?Wea��ve got a good set list put together,a�? he explains. a�?Wea��ve got popular numbers like Money for Nothing, Brothers in Arms and Sultans of Swing, as well as some personal favourites like Down to the Waterline and Once upon a Time.a�? But, according to him, the coolest thing about Dire Straits is that there is no one component that makes their music great. a�?Ita��s not the guitars or the lyrics; the music transcends all that and becomes something else in its own right.a�? When asked if Fridaya��s show is going to be about playing covers of oldies-but-goodies, Prathamesh says, a�?Wea��re not copying or altering the songs, but we are going to make them a little differenta��our interpretation.a�?